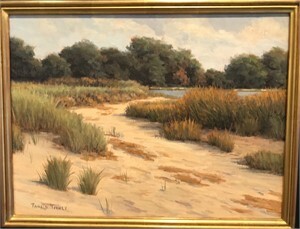 RONALD J. TINNEY has been represented by the Anderson Fine Art Gallery on St. Simons Island for the past 10 years and during that time his work has been purchased and admired by many Sea Island residents and visitors to the the Golden Isles of Georgia. He was born in 1958 in Pottstown, Pennsylvania and is a graduate of Penn State University and Ohio Northern University Law School. 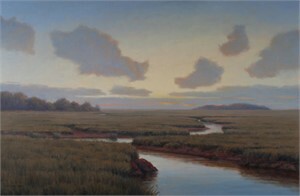 Ron is a full-time artist focusing on landscape painting, spending most of his time painting Coastal landscapes in oils. He paints on location, en plein air, year round studying nature and creating source material for his large studio paintings. 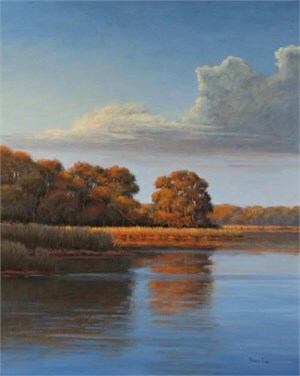 RONALD J. TINNEY has been represented by the Anderson Fine Art Gallery on St. Simons Island for the past 10 years and during that time his work has been purchased and admired by many Sea Island residents and visitors to the the Golden Isles of Georgia. He was born in 1958 in Pottstown, Pennsylvania and is a graduate of Penn State University and Ohio Northern University Law School. 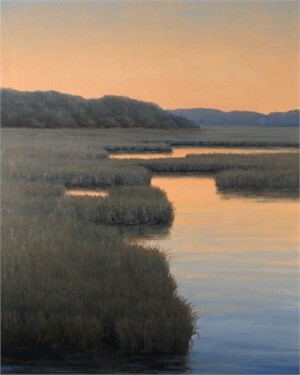 Ron is a full-time artist focusing on landscape painting, spending most of his time painting Coastal landscapes in oils. He paints on location, en plein air, year round studying nature and creating source material for his large studio paintings. 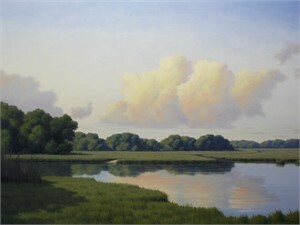 Ron is a "Signature Member" of the American Society of Marine Artists; a Professional Member of the International Society of Marine Painters; a Juried Member of the Copley Society; and a past President of the Cape Cod Art Association. He has had paintings juried into shows at the Ventura Maritime Museum in California; the Coos Maritime Museum in Oregon; and the Oil Painters of America National show in New Mexico. He has had one person shows at the Cape Museum of Fine Art and the Cahoon Museum of American Art.